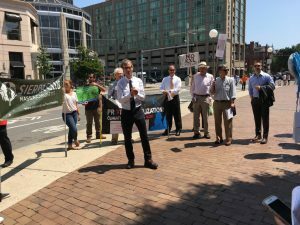 On August 1, more than 50 people—including elected officials and faith leaders—gathered in front of the Boston Public Library to speak and then march against the plans to build additional gas pipelines in downtown Boston. 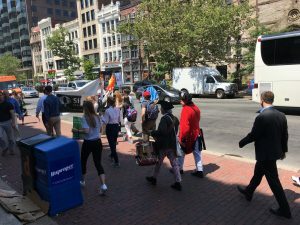 The group walked the proposed route of the pipeline, ending at Belvidere Street next to the Christian Science Church plaza. 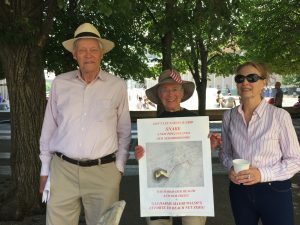 At the start of the march, environmental activists from the hosting group, the Neighborhood Association of the Back Bay Green Committee, and co-sponsor BCEC spoke out against the continued construction of fossil-fuel infrastructure in Boston when the City has set the goal to be carbon neutral by 2050; the two efforts work in direct opposition. 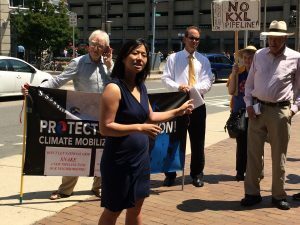 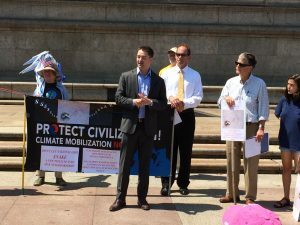 Others who spoke against the pipeline during the hour-long protest included District 8 City Councilor Josh Zakim, At-Large City Councilor Michelle Wu, and State Senator Will Brownsberger.